The Gear4music 22 nylon string Lute Harp is a thinner and more portable version of harp that can sit comfortably on your lap. 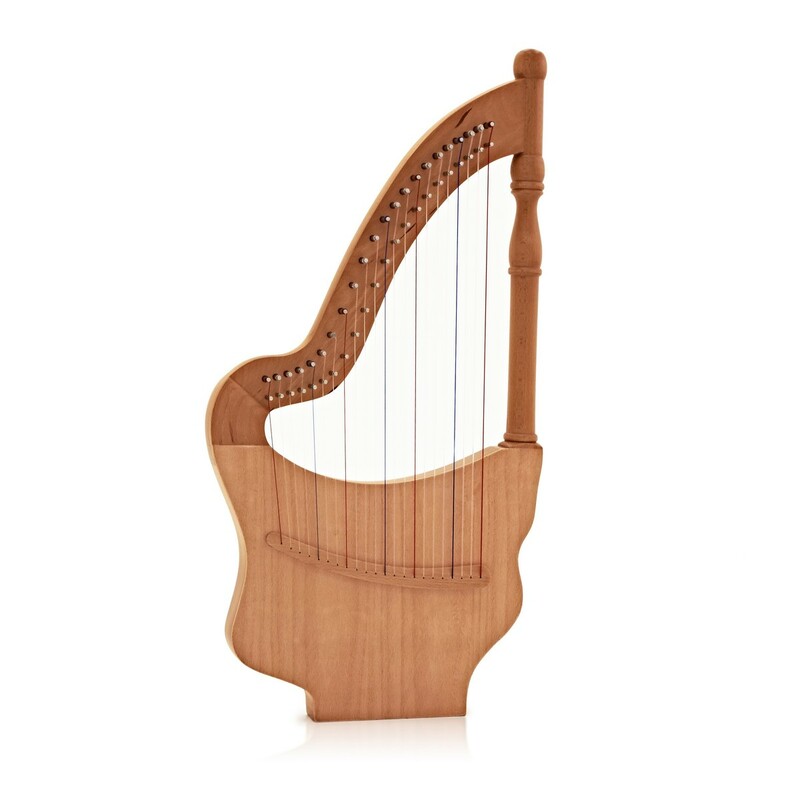 Featuring an intricate and carefully carved frame, this diatonic instrument produces a rich and authentic sounding tone. 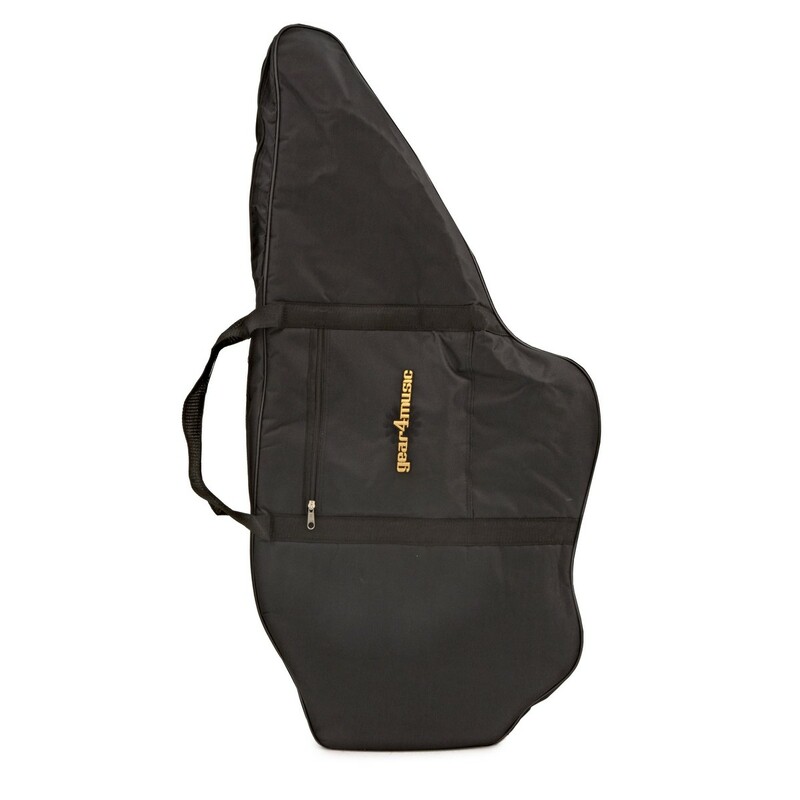 Included with the harp is a fabric gig bag, tuning lever and a spare set of strings. 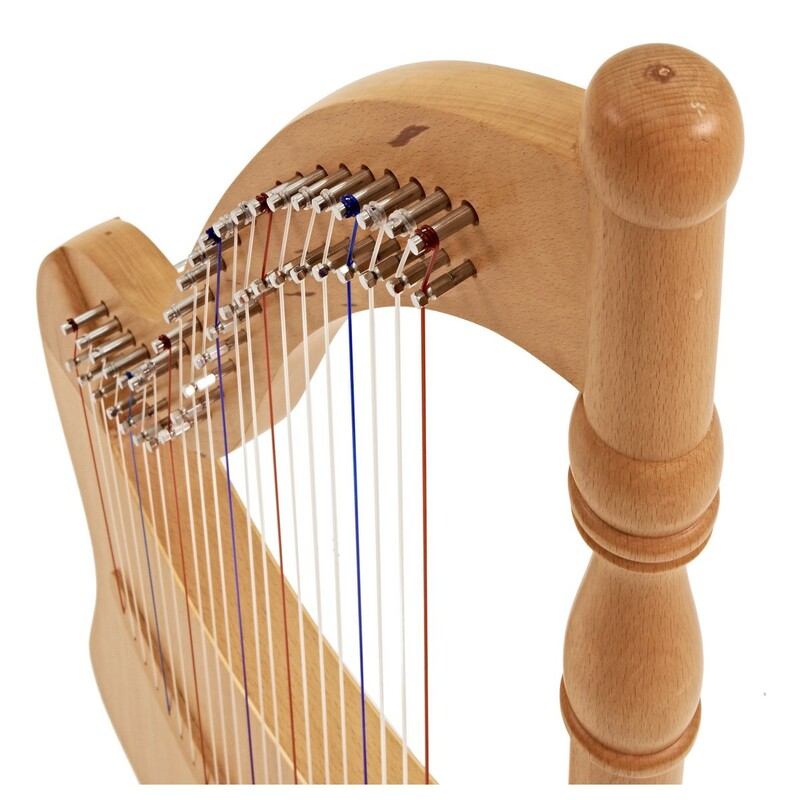 The Lute Harp is long lasting and durable to any knocks it might receive. The instrument has been carefully hand carved to give beautiful decorations to the instrument. The beech soundboard with two sound holes gives a full bodied and resonant sound. 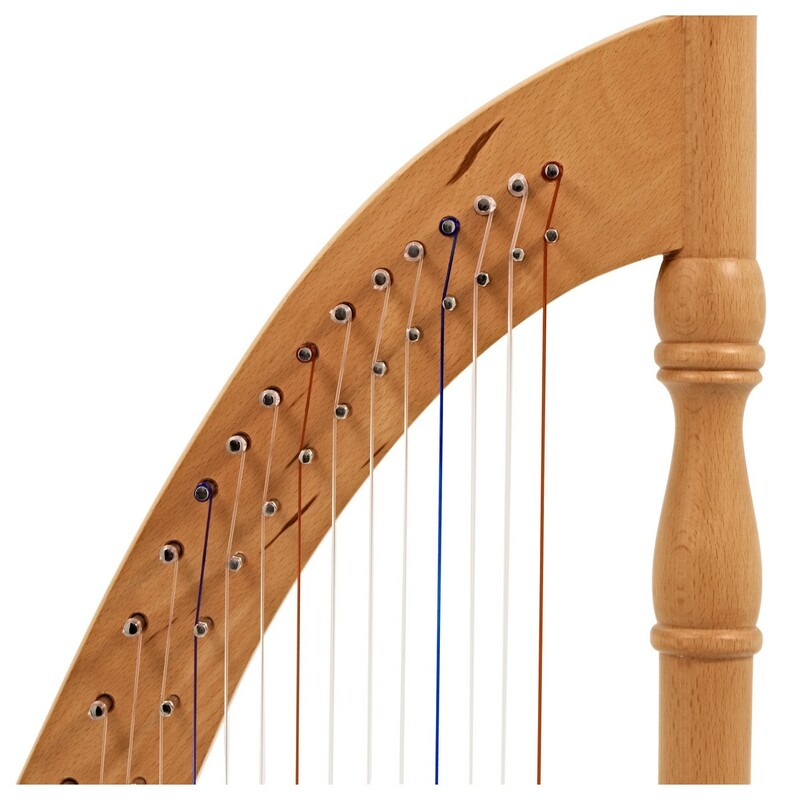 The lute harp includes high quality nylon strings, which give a warm and subtle sound to the harp. 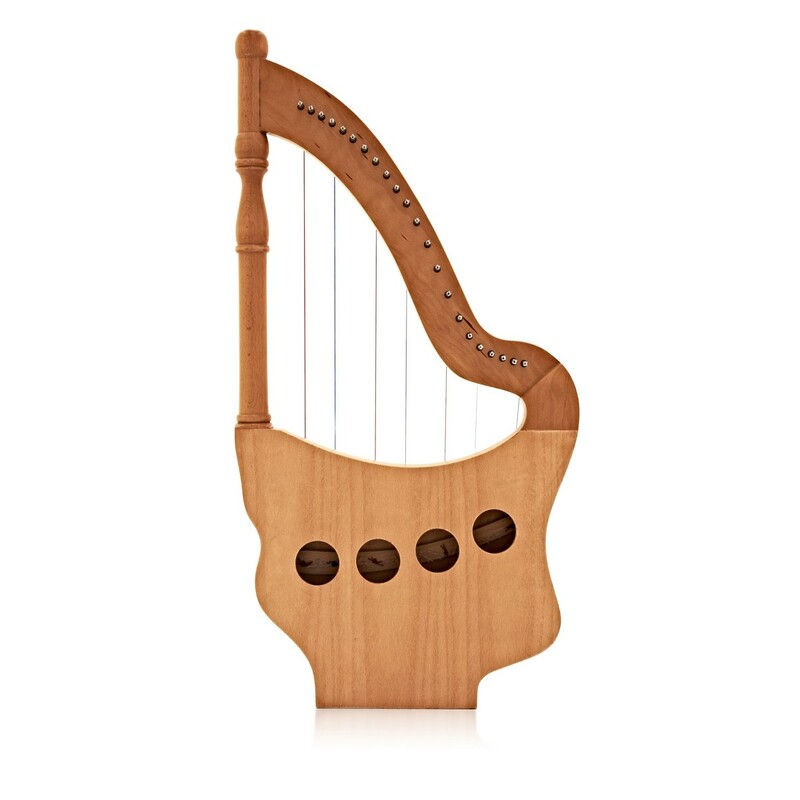 This 22 string diatonic set up spans 3 octaves, allowing for a large variety of repertoire to be played. The top tuners can allow for tuning in to any key using the included tuning lever.